This fall, my daughter will start sixth grade at MJS. My son is two years older, so we are “old pros” about the transition to the Junior School (Ha! Not really!). Many of my daughter’s friends’ parents are coming to me for advice about their kids leaving the comfort and coddling of the elementary school for the “big kid” world of instant independence at the Junior School. One of the main questions is “What in the world is my kid going to do after school with no aftercare at MJS!” Well, fortunately, there are some options that don’t involve hiring a nanny, having your kids wander the streets of Madison and buying all the candy and soda out of Walgreens, or sitting at home alone until a parent makes it home from work. Current fifth graders and their families are invited to check out the Teen Center at the upcoming National High Five Day on Thursday, April 18, from 3pm-6pm. You can all get to know the Teen Center staff, tour the Teen Center, and make new friends to hang out with in the Teen Center next year. It’s a great way to help your fifth graders feel more comfortable with the Teen Center so they know all about it for next fall. The Boszhardt Family Teen Center is located just inside the main doors of the YMCA. It is a supervised space that is free to Madison residents in grades 6-12. It features free homework help, iMac computers, Wii and Wii U, Cable TV, PS3 projected onto a large screen, X-Box One S, air hockey, and foosball. The Teen Center follows the Madison Public School calendar. It will open at noon for extended hours on scheduled holidays and early dismissals. The Teen Center will close for the 2018-2019 school year on Friday, May 31, and will reopen for the 2019-2020 school year on Monday, September 9, 2019. 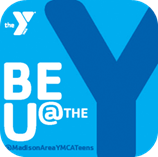 The Teen Scene is Madison Area YMCA's Friday Night program for 6th-8th graders. There is open gym time, full use of the Teen Center, organized games (dodgeball, gladiator, etc. ), and open swim (9-10pm). It is free for Madison Area YMCA members and residents of Madison, or $5 per night for non-members or non-residents. Limited to the first 50 participants. Parents must fill out a one-time waiver. Teen Scene hours are Fridays 7-10pm; teens must check in by 8pm. Check the calendar at .